THIS photo says it all: There are colours, excitement, movement and happiness. 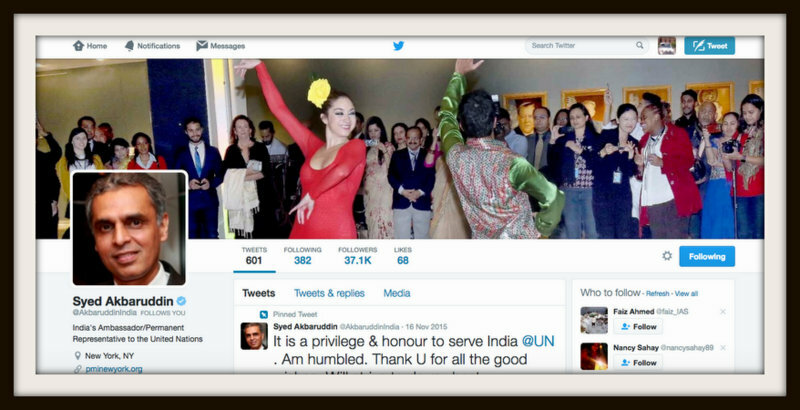 This is the cover photo of the Twitter handle of Syed Akbaruddin, India's Permanent Representative to the United Nations. In this era of social media when every diplomat or bureaucrat can express their creativity, design and photography skills in their individual handles, BoI lists some of the innovative cover photos of the Twitter handles of Indian bureaucrats after examining about 350 of those. Most of the IPS officers have been using photos of cops on duty as their cover. 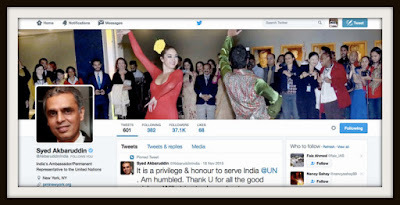 The backdrop, being used by former Delhi Police chief BS Bassi in Twitter, is one such interesting photo. Bassi’s photo artistically weaves in some elements of drama. Indian ambassador to Japan Sujan Chinoy has been using an excellent horse-riding photo as his cover. But the photo is not an original shoot. It’s clearly modified, thereby enhancing its quality. 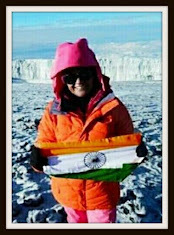 Harleen Parmar, deputy commissioner of Siaha district of Northeastern state of Mizoram and 2012 batch IAS, has been using a sketch of a village hamlet with a hilly background. It's a sketch, not a photo. A number of officers have also used well-lit Raisina Hill photos as cover, with some using a part of this British-age architecture —the North Block and the South Block. IPS officer and additional deputy commissioner of police in Delhi Esha Pandey has been using a cover photo of a few cops on duty (that include her) with masks covering their faces — a photo that symbolizes Delhi’s rising pollution post-Diwali. Some officers have been using such cover photos that actually depict their private passions. For example, IPS officer Muktesh Chander has been using a photo showing him playing a flute. Former Indian ambassador in Jordan, Libya and Malta Anil Trigunayat has been using a big Indian flag, showing the current mood of nationalism. NITI Aayog CEO Amitabh Kant who as the DIPP secretary had played a key role in conceiving and rolling out of India's new manufacturing campaign -- Make in India, has used the ubiquitous Make in India lion logo both in his profile and cover photos. For some bureaucrats, social media must demonstrate their grit, determination, passion and commitment. Former foreign secretary Nirupama Rao has been using a cover photo that says: “You can do it”. And doctor-turned-IAS officer of Tamil Nadu cadre Alby John V says in his cover photo: “If you can dream it, you can do it”.